GID: 13036. Categories: IFRS Fundamentals-A comprehensive workshop (5 days), New York. 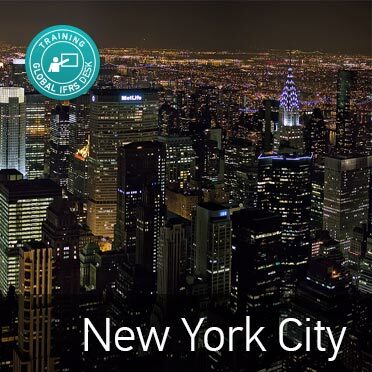 Tags: ##FASB, #AICPA, #CFO, #CPA, #IFRS Fundamentals, #Newyorcity, #SME, #USA, IFRS. With more and more countries adopting the IFRS as their accounting standards (almost over 140 countries) and also due to regular revisions and replacement of existing standards & principles, you must continue to develop your conceptual and practical understanding of IFRSs. If you intend to use IFRS for the first time then you must have the required knowledge and skills to implement the IFRSs, be able to understand how this transition affects company’s reporting, and what it means going forward. If you have already implemented IFRS even then you need to make sure that you continue to invest your time in learning and keep your self-updated with further changes to the IFRSs. We have designed this comprehensive and detailed learning programme (5 days) to give you all the required knowledge, skills and experience to deal with these challenges. We have one of the best and most experienced faculties’ with over 15 years of IFRS implementation experience in the European region. All our training courses are organised at one of the recognised professional training facilities or training facilities at one of the 4 to 5 star hotels in the city. We will send you the joining instructions with venue details at least 2 weeks before the commencement of the training program. We provide tea/coffee, snacks, and lunch during the duration of this course. You are responsible to organise your accommodation. In order to enroll for this programme, you can either make the payment online through our website or you can opt to make the payment via bank transfer/Demand draft/Cheque payment. Our payment web page will give you all the necessary options at the time of check out. Should you face any difficulty, please do not hesitate to contact us with your selected course and our customer services team will be happy to guide you through the payment process. You must also bear all the bank charges in relation to the payment of course fees and payment must be made at least 3 weeks before the course date. Registration will be confirmed upon receipt of payment and completion of registration form only.